With its fine tapered legs and stylish shape, the Miami Chair was recognised worldwide as a breakthrough design. The base and legs are constructed from solid rubber wood, and the soft seat is covered in multi-density foam with a PVC fabric cover in different colours and patterns. Ideal as an occasional chair for both domestic and business purposes. 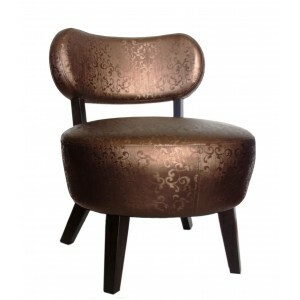 Now, they are available in a wide range of colours, this slick chair suits both contemporary and modern spaces.